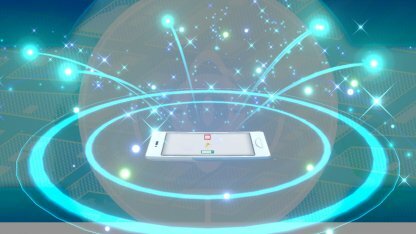 Check Out How To Connect To Pokemon GO! This is where you can find the Pokemon you have transferred from Pokemon GO. Interact with them by walking around in the GO Park. 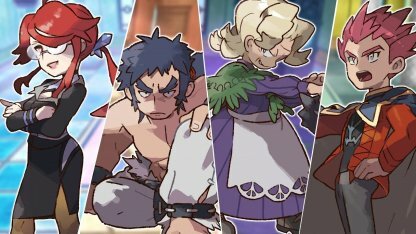 Catch them again in the GO Park to take them with you in Let's Go! 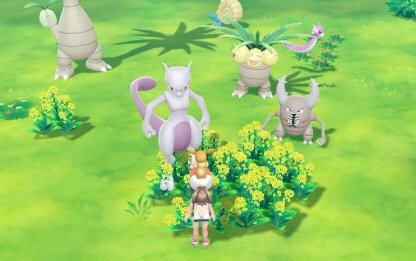 The Pokemon in GO Park can be attempted to be captured as many times as you want. You can retry them as much as you want when trying to catch them, so try using cheaper Pokeballs when catching them! 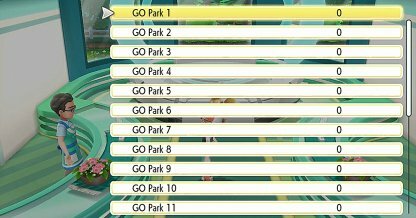 There are a total of 20 GO Parks each with a capacity of 50 Pokemon. 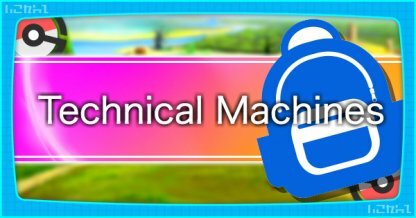 Unless you really need Pokemon Candy in Pokemon GO, this is a good place to send your extra Kanto Pokemon! The only way to access the GO Park is to make your way to Fuschia City. 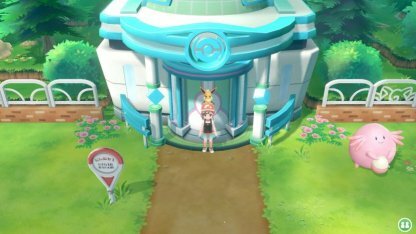 It's not possible to access the GO Park at the very beginning of Pokemon Let's Go. You need at least 25 of a single species of Pokemon to access the Minigame. Herd all of the Pokemon in Play Area to the goal to win! You will receive different kinds of Candies for winning the Minigame. Use these to power up your Pokemon! Check Out How To Get Candies Here! 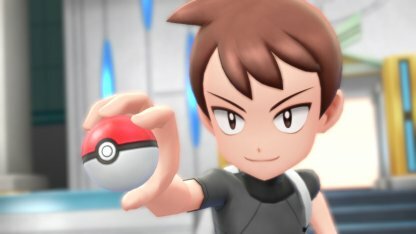 Which Pokemon Can Be Transferred to Let's Go? 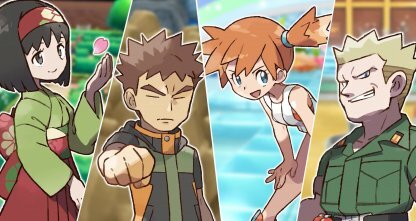 Only Kanto Region Pokemon and their corresponding Alolan forms can be transferred to Pokemon Let's Go. Keep that in mind while stocking up on Pokemon! 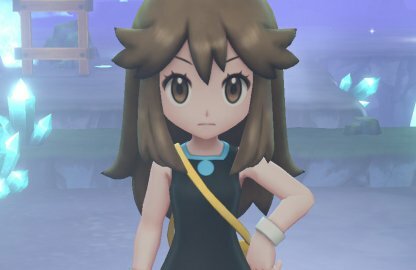 The transfer process from Pokemon GO to Pokemon Let's Go is one way only. Don't transfer Pokemon you will still need in Pokemon GO! 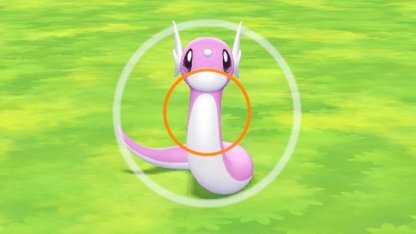 Pokemon caught in Let's Go cannot be sent over to Pokemon GO so you cannot use this to complete your Pokemon GO Pokedex! 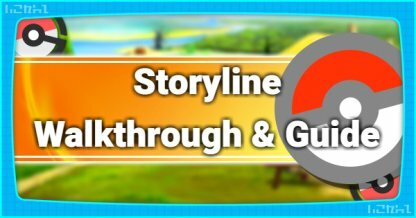 Complete the Legendary Pokemon by transferring them from Pokemon GO. However, transferred Pokemon cannot be returned to Pokemon GO so be careful! Although you cannot send Pokemon to Pokemon GO, you can send a Present which contain items that will be useful in Pokemon GO. 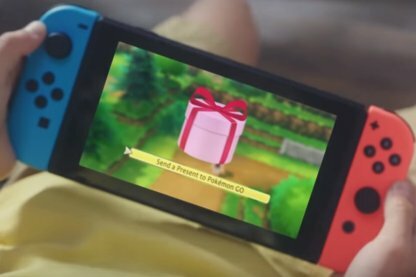 The first time you connect & transfer from Pokemon GO to Let's Go, you'll receive the Mystery Box. 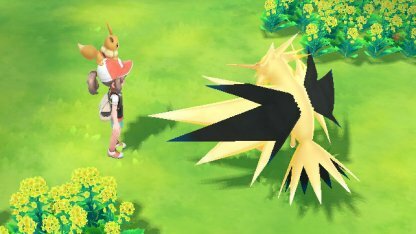 This item can be used in Pokemon GO to lure the mythical Pokemon Meltan! 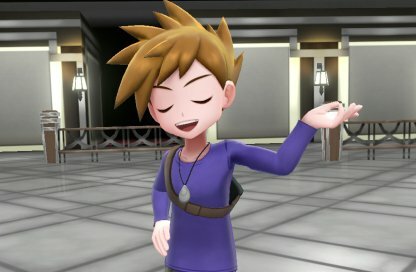 Connecting Pokemon GO to Pokemon Let's Go uses Bluetooth Low Energy (BLE). So make sure this is enabled for both devices. f:p:Connect both devices via Bluetooth when you get to the GO Park then talk to the GO Park attendant. 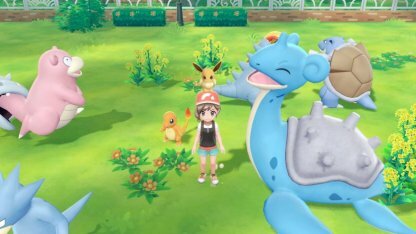 Select which Pokemon you want to send to Let's Go from Pokemon Go. 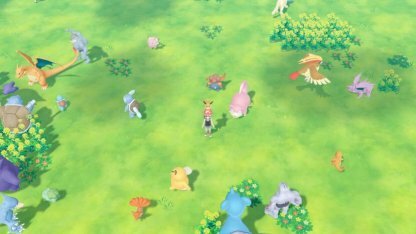 You can send up to 50 Pokemon at a time. 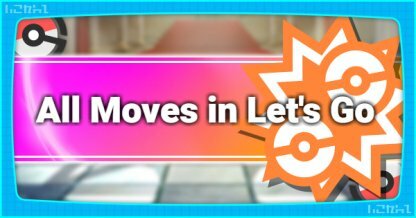 Enter the GO Park to see your newly transferred Pokemon!